Rating: Now no longer just a special item in a massive online roleplaying game (sorry Warcraft geeks! 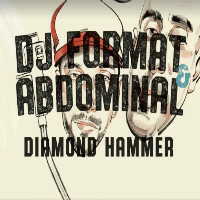 ), Diamond Hammer is the new single from DJ Format & Abdominal and doesn’t it just hit like one? 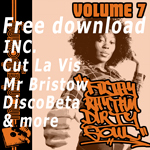 More heavy psych samples, a bludgeoning 130 bpm beat which puts the pair in Fabreeze Brothers territory and Abdominal giving the mic a good clobbering. The track follows Behind The Scenes and is the second to drop from the forthcoming LP, Still Hungry, due out at the end of April.